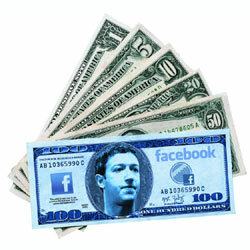 Are You Making Over $10,000+ Month Offering Facebook Services To Your Offline Clients? I was just talking to Ken Banks and Sam Bakker via Skype and he shared with me some really cool strategies using facebook for my offline clients. Now.. I have been offering facebook services to some of my clients already but I had been wanting to do things like create a simple fan page (business page) for my clients that would collect emails and offer cool things like coupons and all those kinds of things. I put that on the back-burner for a bit because I was too busy doing lease sites and my Google Love service. but now I am ready to start attacking this head on. What are some of the new ways that you are using facebook with your offline clients? What do you charge for some of your facebook services? What are some of the things that you wish you could figure out and offer to your clients using facebook? high quality articles, press releases, website content-quality second to none! I really think that it is a great idea to offer a monthly fee to manage clients facebook pages. That is one of the things i would like to test myself as well. When you are set up and ready to go, you can get a few clients just by heading to some of the outsourcing sites like Guru.com, Odesk.com etc. There are always companies and small businesses looking for these services...they don't usually pay as high as the clients I get from some of my traditional offline clients, but by snagging a few, it will give you practice and proof sources for future clients. What type of businesses are most likely to optin for monthly management fees? Most businesses have (or should have) a monthly marketing budget. They will often increase this in areas such as social media when they know they are behind the curve but just haven't done anything about it, and oftentimes, a simple line of questioning can be used to get them to admit that MUCH of their budget is going towards areas that offer very little ROI...when it is just a matter of their moving money from going to one source to YOU, that is something that will not cause them pain. But, it WILL cause you pleasure...;-) So, the answer is, a BUNCH of types of businesses. I usually only like to deal with businesses that are already spending 5k+ per month on marketing. When dealing with the individual business owner types (one man shows) they often balk at ANY price you throw out...not worth your time. You should focus on services that will net you at least $50 per hour once you subtract and hard expenses and factor in the actual time you will spend on tasks yourself. At this point, I usually bid so my take is upwards of $75/hour though as I am looking for LESS clients, but more valuable ones. One of my friends works with dentists and cosmetic surgeons in vegas and she is charging around $1,000-$1,200 per month just doing twitter and facebook posts for her clients. I am going to do a webinar with her soon to find out what she is doing as well. Damn thats some crazy figures right there. Dr Dan, this is definitely something I'd like to hear more about and I signed up for the Webinar. It is 11pm my time, so there is a chance I might miss it, is it going to be downloadable afterwards at all? And that was my problem! Perhaps your friend has some advise how to solve it for me. Most of the professionals I talked to about facebook marketing, expected me to actually create posts for them. Marketing posts would be OK, but it seems like they wanted me to become their customer support. 1. The "average" small business owner spends $12k A MONTH on advertising. Perhaps they do in New Zealand, but not in Los Angeles, California! 2. To get a lead to activate the app, this lead must click on a "allow" button that will give the business owner access to the lead's personal info, all their FB friends, and demographic info. In this day in age of privacy concerns, I don't see a lot of people willingly providing this info to an offline business owner via a FB app. I haven't done it in the past no matter enticing the offer! I've noticed that Sam Bakker sells his products for 10X the price you'd find a similar product selling for in a WSO, so I guess there's still plenty of people willing to spend. As far as the average small business spending an average of $12K per month on advertising, I would venture to say that $12K per year is probably more realistic. Re using Apps on Facebook. I have an FB App installed on one of my FanPages and in my experince only about 20% of people will allow you to access their private details once they see the info request popup. It really depends on your target like Sir Thomas pointed out. Many companies spend far more than $12k per month and some dont. That is why its an average. Also the WSO forum is exactly that Special Offers. That is why pricing will be higher outside the forum. Most of the WSO products get launched here and then get pulled off and re-launched in the open market for higher pricing. So you can not compare pricing like that. Also I have not seen any other product that does what Sam's does exactly. Those teenagers are used to giving away their info as if there was no tomorrow! I've heard some suggest to give the local business a FREE Fanpage with a HTML welcome page, graphcs and all. Then get a monthly maintenance fee. Awesome! It should be available as either a replay and or downloadable. I have heard this as well. I would be interested to hear how well it works for some of those people using this strategy. How exactly do you go about finding businesses looking for these services. When I go on Odesk, all I find are penny pinchers looking to outsource to Asia for $4/hour. Do you send emails out to businesses? Do you cold call them? Do you go to networking events and talk to them? How? Online reputation management. Offer them that and include all social media apps and everything else. Local Client ARMAGEDDON Free Facebook Group: KILLER new local client consulting education group. Watch my live stream: Listen to me COLD CALL to sell/rent my Exterminator website. Join the Facebook group for the link and to watch past Live Prospecting replays. I share my spreadsheets, Powerpoints, contracts, and other files so you can learn how to CLOSE DEALS!